SEO - Why is Search Engine Optimization Beneficial? 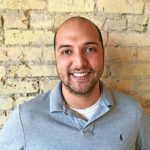 SEO – What’s The Big Deal? Short for Search Engine Optimization, SEO is a practice of getting website and webpage visitors from search engines (like Google, Yahoo, and Bing) naturally (or unpaid) through search results. Basically, SEO refers to the way you get your website to show up when you perform a search on a site like Google and Yahoo. There are 6,586,013,574 internet searches a day worldwide. Searching is the route most internet users take to find answers to their questions, solutions to their problems or find things they would like to buy. How Do We Optimize for Search? It’s a Search Engine’s job to provide the best results possible to their customers. But with billion’s of searches each day, how do they do it? It’s simple, their systems make sure that the information being provided users, matches what they are searching for. There are also quite a few other factors that play into how search engines rank your site’s content. For example, building your web pages with today’s (constantly evolving) coding standards, a well-structured site navigation, clean code, metadata, and making the user’s experience great all factor into how often your website appears in the search results. Search engines like to reward you for doing these things correctly, so it is important when building your website to think through these SEO factors. What does that mean for people creating content and building webpages? It simply means that search engines want to provide information that is high quality, valuable, and on topic. So if you are creating pages that are built to make a user’s experience easy and include information they seek in a well-organized fashion, you’re on the right track! Ultimately, the goal of any website is to get users to visit it. The quickest and easiest way to do this is to make sure your SEO is effectively showing your website in various search results. 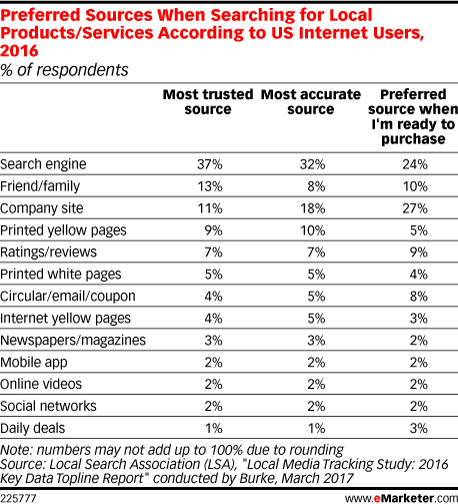 According to a study by eMarketer, internet users rely on search engines to give them the most trusted and accurate source for what they are looking for. Having a website that is well built for search increases the amount of traffic to your website, which also means you have the opportunity to increase revenue for the product(s) or service(s) you sell. I hope that this information gives you a better idea of what SEO is, why people and businesses do SEO, and how you can achieve great Search Engine Optimization. Although there are many factors in getting your web pages to index high in the search results, having a brief understanding of the process will help you get started on the right track!